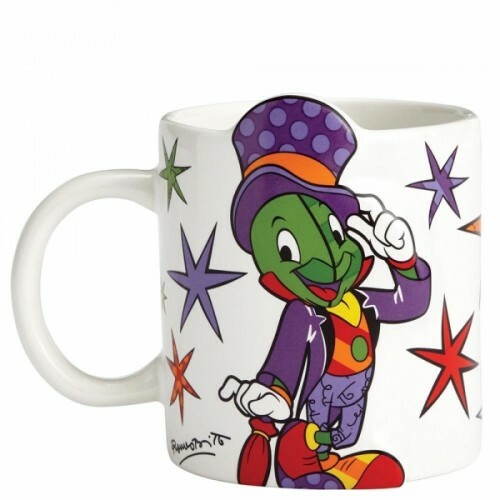 Jiminy Cricket the official conscience is surrounded by stars on this Pop Art mug. This unique cut out shape with bas relief characters makes each one of these ceramic mugs a work of art. Collect all six Disney Britto mugs or pick your favourite character. 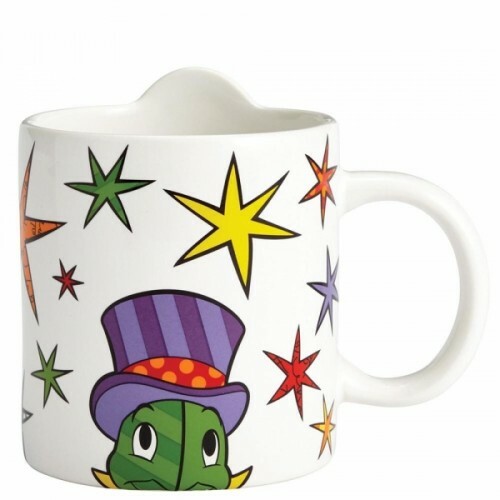 Each comes in a white box with a Disney by Britto logo making this mug the perfect gift. This ceramic mug has a 295 ml capacity, is dishwasher and microwave safe.